Location was the best. View from room # 1. Great town for view, beach, sites, restaurants, all right there. We got to the hotel very late and were greeted immediately with our keys, no fuss, no signing in. The room itself exceeded expectations - I was in room 22 on the second floor and the sea view was phenomenal. The room had everything I could have asked for, a lovely big balcony, air con, a small kitchen and comfortable bed. The room was cleaned every day with fresh towels. I didn't use the pool or bar as the lovely beach is literally a 30 second walk across a quiet road. The restaurants in Elounda are fantastic - especially The Hope and the Palio Kantouni which are a little hard to find, but do make the effort. As our flight the following Saturday was going out late and our rooms were booked for other guests, the lovely owner made every effort to give us a room we could use to shower and keep our luggage in so we could enjoy another day at the beach. Fantastic. Proximity to the beach. Actual accommodation was very comfortable. Fantastic view from the apartment. Pool area was ideal with sunloungers and tables and chairs in the bar areas. Great location, roomy, clean and comfortable apartment and great view. Everything was great especially the location and the view from the room. 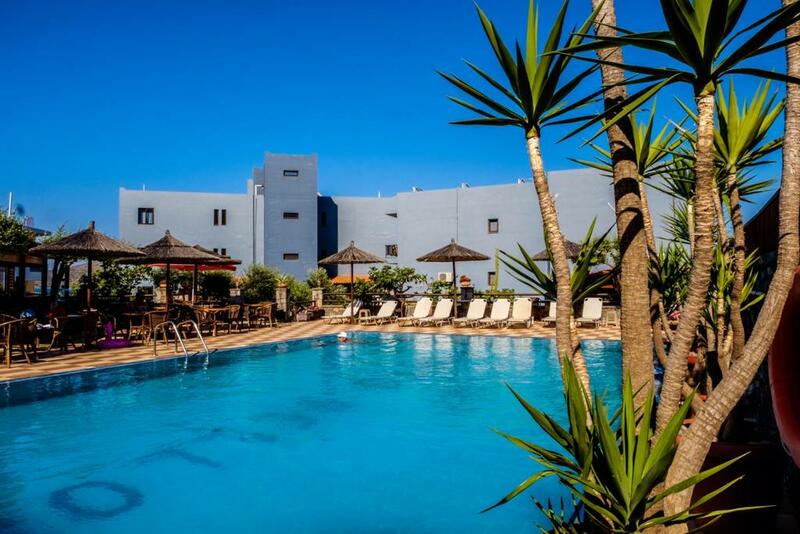 Lock in a great price for Corali Studios & Portobello Apartments – rated 8.8 by recent guests! 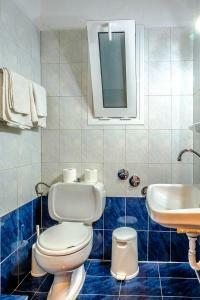 Accommodations is air conditioned and includes kitchenette facilities. Several rooms enjoy views of the Mirabello Gulf and the sea. In-room safes are included. Showers are available next to the swimming pool. The charming courtyard offers seating areas and sun loungers. The bar is open all day, serving snacks and drinks. Guests will find board games and reading material at the air-conditioned lobby. Water sports are available on the beach. Surrounded by mountains, the area is also ideal for hiking, walking and trekking. Traditional tavernas and restaurants are within walking distance. When would you like to stay at Corali Studios & Portobello Apartments? Air-conditioned studio with kitchenette, bathroom with shower and a patio overlooking the lush gardens and the sea. 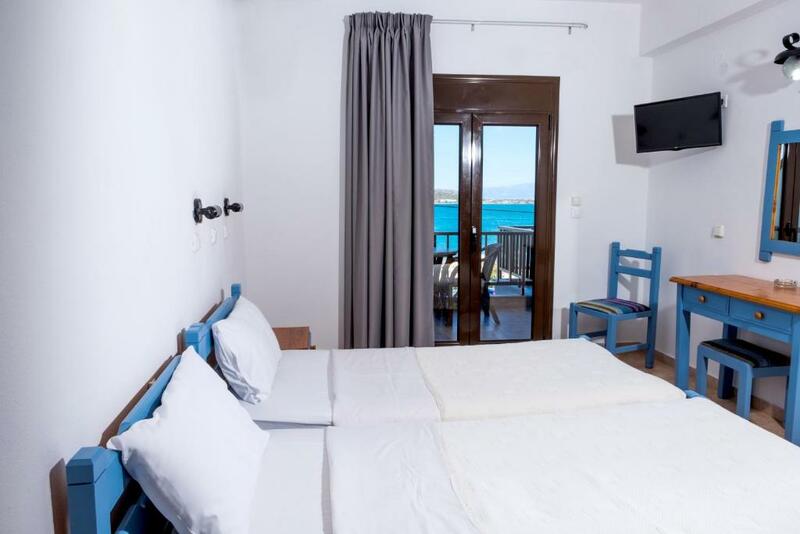 Sea-view studio in traditional Aegean colors with kitchenette, twin beds, air conditioning, bathroom with shower and balcony overlooking Elounda's main beach. 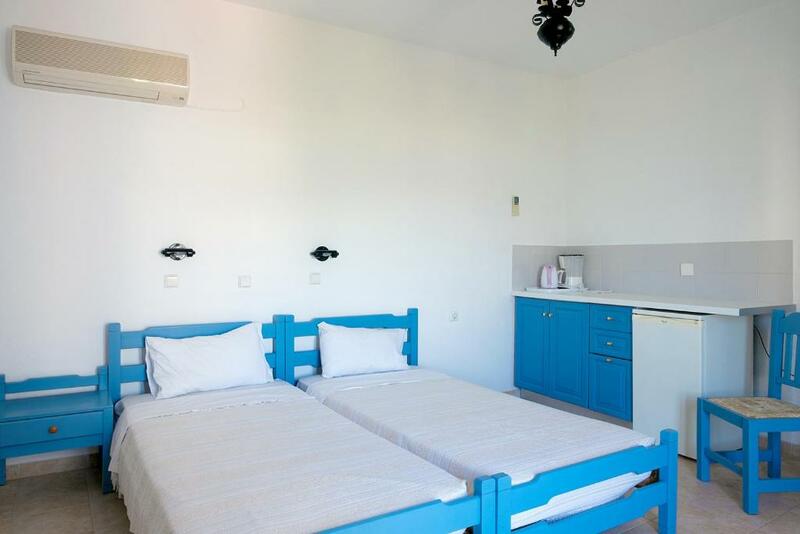 Includes air conditioning, bathroom with shower and large bedroom with twin beds. There is a large sofa bed that can accommodate the 3rd guest. 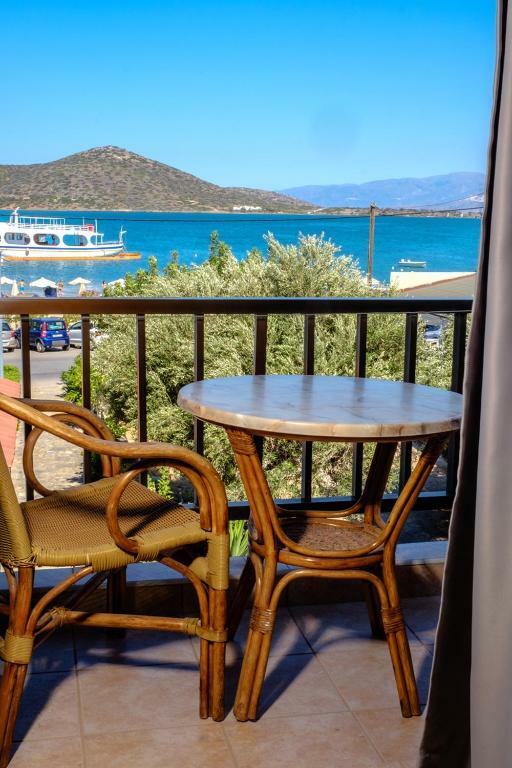 It features full sea views with a large balcony overlooking the entire bay of Elounda including Spinalonga Island. 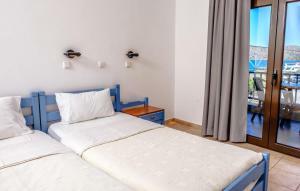 The main bedroom consists of 2 twin beds and a single sofa bed. 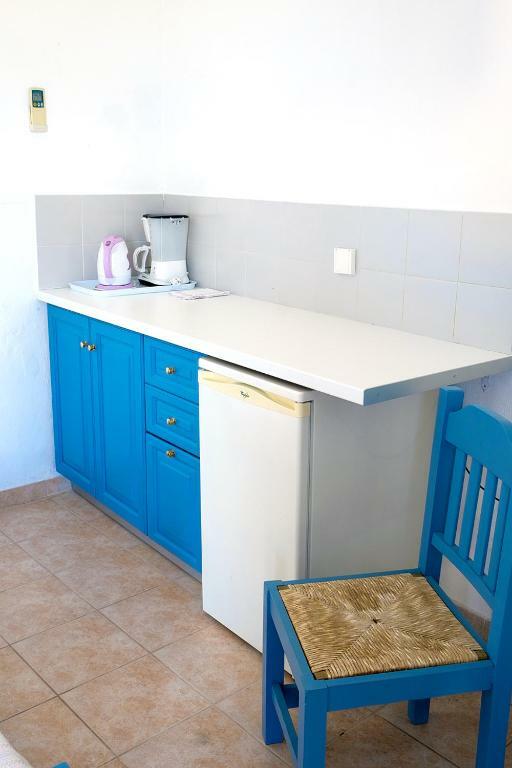 There is also a large fully-equipped kitchen. Please note that the apartment and bed type will be allocated at check-in according to availability. Guests may be asked to change apartments during the stay, and room types may vary. House Rules Corali Studios & Portobello Apartments takes special requests – add in the next step! Corali Studios &amp; Portobello Apartments accepts these cards and reserves the right to temporarily hold an amount prior to arrival. Corali Studios & Portobello Apartments accepts these cards and reserves the right to temporarily hold an amount prior to arrival. If you expect to arrive outside reception opening hours, please inform Corali Studios & Portobello Apartments in advance. Please inform Corali Studios & Portobello Apartments of your expected arrival time in advance. You can use the Special Requests box when booking, or contact the property directly using the contact details in your confirmation. Didn’t care for the uncomfortable balcony chairs or the lack of space for food prep. It is self catering but no kitchen space to make a picnic. Great location, pool and pool bar private and well looked after. Stunning view from balcony. Great location near the centre of elounda Room clean (apart from below) Was a fair representation of what it cost for a night. 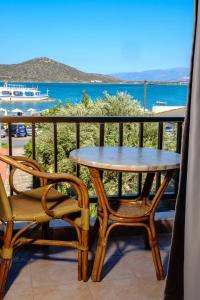 Clean, well equipped studio with good views of the sea and distant mountains. Well maintained garden with areas for sitting and sunbathing. The pool area is welcoming with plenty of sun loungers, parasols and tables with a bar for drinks and snacks. Nothing. But be careful about sea view, some are very limited. The front rooms have great views. We would have preferred a double bed. Not sure if that was an option that we overlooked. The property is on a busy road overlooking the beach but not too noisy through the night. 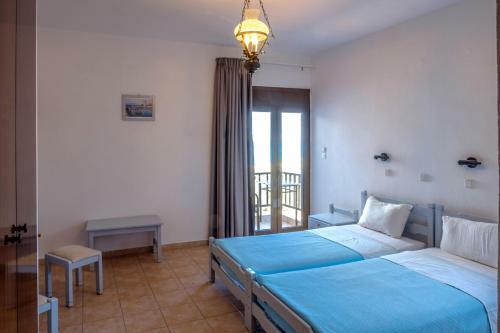 We liked the fact that the property was situated a little away from the busy centre of Elounda but close to the beach and good restaurants. The property also has a pool and nice area behind, including a cafe/bar. The staff are all very friendly and accommodating including Vasia who has a very nice front of house manner. We had a ground floor room on the front of the property which resembled a dungeon - very small and one tiny window. Check in was supposed to be 2pm but we weren't able to access our room until closer to 4pm. One of the towels in the room had blood on it. Would not return. Location is good and the pool area was quite nice. Air con in the rooms is free. The shower was good.